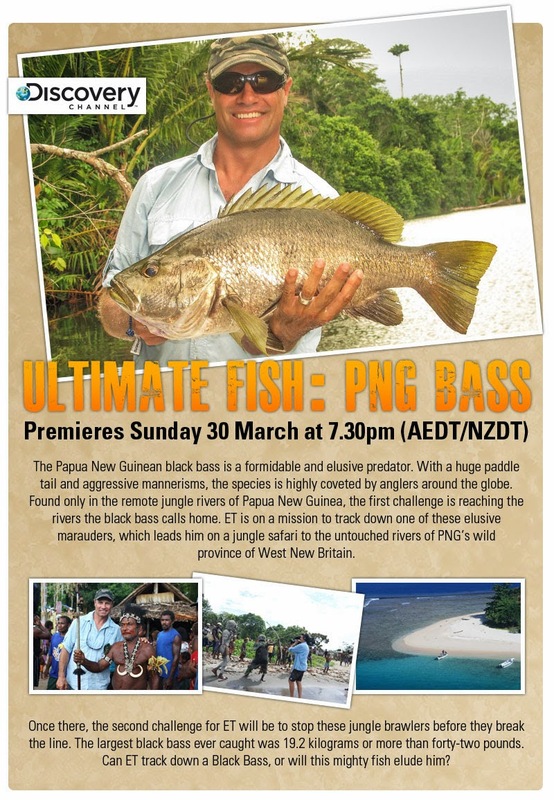 ET goes to PNG after Black Bass in this episode which premiers on the Discovery Channel this Sunday. Check it out! The elusive Black Bass from New Guinea is famous amongst anglers everywhere (Fishmax sent it's own team after them a couple of years ago). If you've got a PNG Black Bass story, we'd love to hear it!